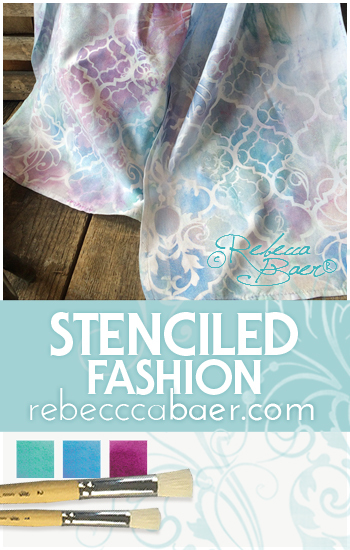 Check out the overview "Scarves as a Work of Art" that preceded this video series for information about the process leading up to the stenciling shown in the videos. For the best results watch the videos in order so you don't miss any pertinent information. The first lesson focuses on the "Moroccan Vine" scarf. Perhaps these videos will inspire you to make your own magnificent fashion accessory or maybe you'd like to purchase one already made for you. Each scarf is a unique work of art hand painted to create an original one-of-a-kind designer accessory. Below, you'll find the first segment of the three-part video series illustrating the process of detailing the scarves.